The GD25 series is available today to meet automotive industry’s demand for AEC-Q100 qualified flash memory. 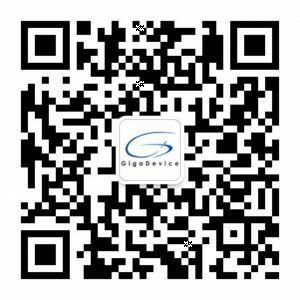 Beijing, China (March 26, 2019) – GigaDevice, a leading provider of non-volatile memory and 32-bit microcontroller solutions, announced today that its complete product line of SPI NOR Flash Memory has passed the AEC-Q100 qualification. The GD25 series consists of high performance and high reliability flash memory solutions for factory-installed and special vehicle applications that require automotive quality. The development of autonomous vehicles, new-energy vehicles, and car communication technologies is the driving force behind the demand for automotive quality memory products in the industry. Different from semiconductor devices for commercial uses, the automotive industry has developed stringent standards for any components used in vehicles. AEC-Q100 is a complete set of automotive qualification specifications established by Automotive Electronic Council (AEC) to ensure the high-quality standard for electrical components being used in the harsh automotive environment in order to guarantee the safety and reliability of onboard electronics for vehicle operations. GigaDevice’s GD25 series SPI NOR Flash Memory features density from 1Mbit to 512Mbit, power supply voltage of 3.3V or 1.8V, operating temperature range of -40℃~85℃, -40℃~105℃, or -40℃~125℃, and automotive qualified package options. By providing a comprehensive range of products that meet automotive application requirements, GigaDevice can help customers in the automotive industry significantly reduce the time on research and development and accelerate the time to market, while improving the system performance and reliability.